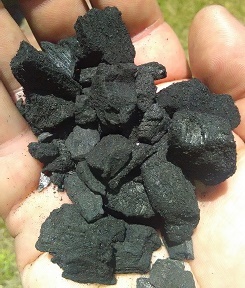 Pure powdered biochar. 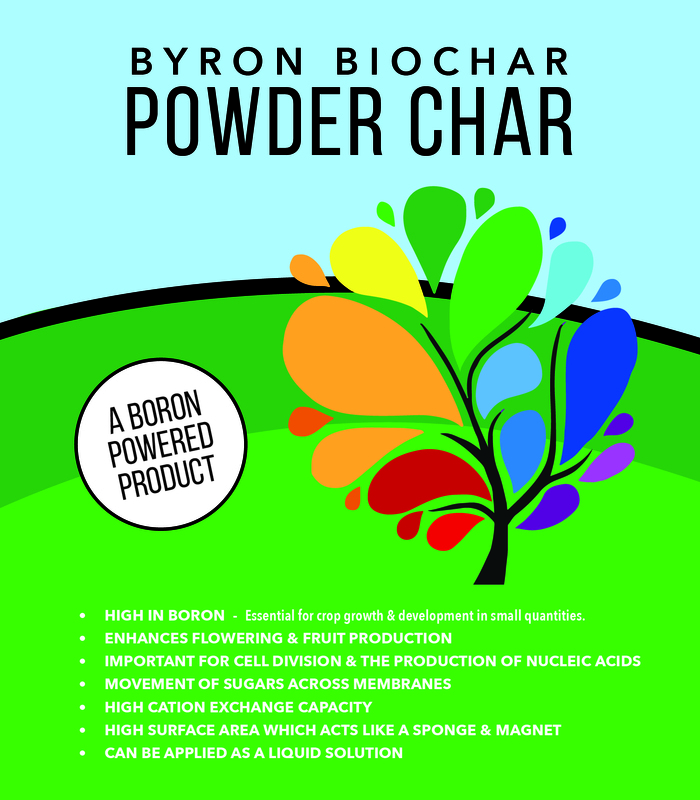 Byron Biochar Powder Char is a powder, 80-100 microns, plant derived soil conditioner, high pH, high in boron and mineral ash with a medium range carbon content of 65%. 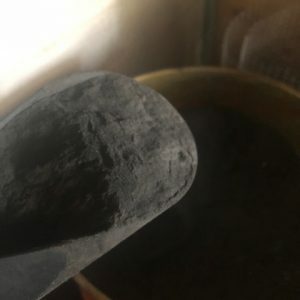 Very high cation exchange capacity and enhanced surface are due its particle size and magnetic qualities. 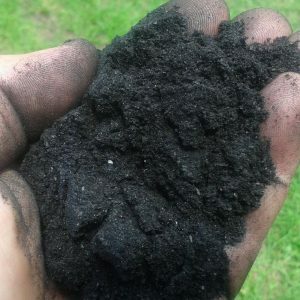 When mixed with soil, it increases water and nutrient holding capacity and provides a beneficial homes for microbes, ensuring your plants thrive.Can be applied by watering can or sprayers with larger nozzles to avoid blocking. Boron is the most common plant deficiency. 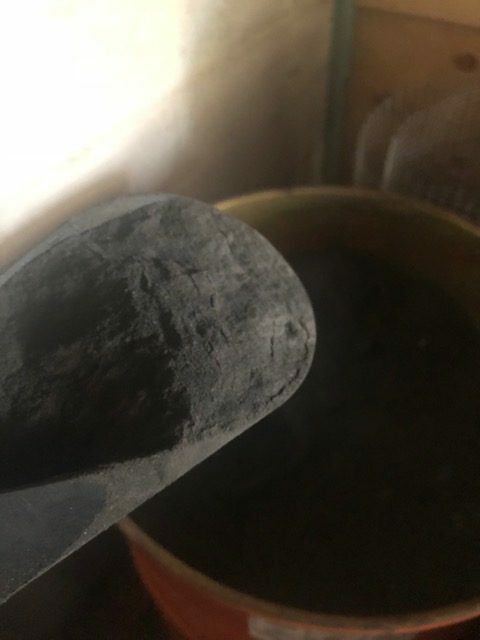 Some of the crops with higher boron requirements are turnips, broccoli, cauliflower, cabbage, brussels sprouts, apples, pears, grapes, macadamias and avocados. 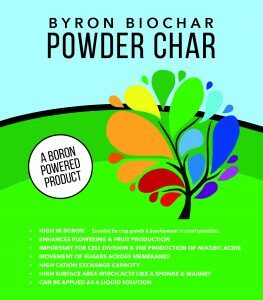 The beauty of Powder Char is that it can be suspended in liquid and applied with a watering can or sprayer with larger nozzles to avoid blocking. What doesn’t get taken up via the leaves will wash off and enter the soil where the biological life & worms will eat and excrete (activation). 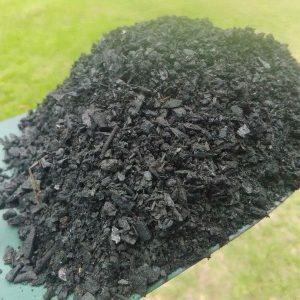 Also great to add to compost, teas and as a turf underlay or topdress. 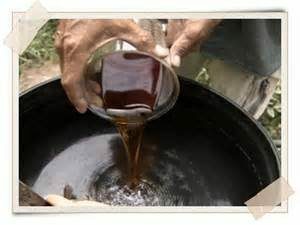 Add to potting mix too! Recommended rate is 200g per sqm so a little bit goes a long way!